if you don’t have a “technical” skill (i.e. you’re not an engineer or programmer)? if you don’t have a lot of money (nor do you want to spend a lot of money to get the idea started)? if you want to get it up and running without going all in and putting your life (or credit) on the line for it? That’s what Jon Nastor, ex-punk rocker turned entrepreneur and founder of Velocitypage.com, wanted to know. And for the past 12 years, Jon has been actively answering this question. I have been an entrepreneur for 12 years and full-time online for 3. I have built, from the ground up, 6 different SaaS products — all with zero technical ability. I have built multiple businesses from zero to $45k/month+ recurring revenues, with no debt and no financing. How is this possible, though? Conventional wisdom tells us we need to master the skill or trade we want to make a profession out of, or that we need lots of money or financing to build something profitably. But here’s Jon, a person who self admits to having “zero” technical ability, yet he’s started multiple businesses with no debt or financing. What is Jon doing differently that allows him to succeed where so many others fail? That’s the question I wanted to know, so I hopped on a call with him last week to interview him about his most recent business: VelocityPage.com. 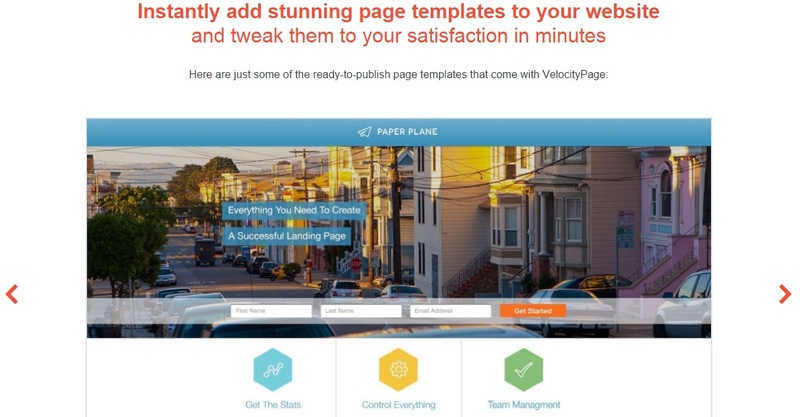 The story behind Jon Nastor’s most recent startup, VelocityPage.com, is eye-opening. As I mentioned previously, Jon has no programming / engineering / technical skills to speak of, yet he bootstrapped a profitable tech company from scratch in less than two years (with close to 500 customers at the time of this writing). Jon started with his own problem: creating pages on Wordpess is a pain. WordPress is a Content Management System (CMS) that millions of bloggers, writers, and companies use to publish their content online (I’m using it right now). The problem with WordPress: it’s a difficult, time-consuming process to edit and publish pages because you have to do everything from the backend of WordPress. What if there were a simple “What You See Is What You Get” (WYSIWYG) interface that allowed you to edit directly from the front end of a WordPress site? Really, Jon didn’t even bother with a business plan. Instead, he opened up a notepad and wrote down 8 sentences about the product, how it would work, who needs it, and why it matters. He simply wrote out the general idea on a piece of paper and that was enough to proceed. In other words: the moment you have an idea for something that might work is the time to act on it. Now, not later. A developer to bring his idea to life. The simplest solution: hire a programmer. Jon was looking for a programmer, which means he would probably have to scour through odesk.com or elance.com to find the right freelancer for the job. Jon didn’t want to spend a lot of time or money developing this idea before he could validate it, so this option was out. Because Jon didn’t possess the technical skills to build VelecityPage.com from scratch, nor did he want to pump a lot of money into the project to get it started, his best option was to find a collaborative partner. One of the ways to find a collaborator is to go through networks that you’re already a part of to source someone with the abilities that you need and that compliment your skillset (and personality). can this person truly deliver, on time and on target? Sadly, the people who are closest to us are rarely the best fit for an idea. Further, someone you are close to is more likely to be motivated by the idea because you’re motivated by it, which means there’s no real opportunity to indifferently judge the merits of the idea (which is a dangerous road to go down). In either case, if it’s not a good fit, this can delay the launch of the product or kill it slowly over months. Instead of putting time or money into the idea, Jon cut straight to the point. He was already familiar with the WordPress platform and in particular the brains behind it. So Jon reached out to a lead developer of WordPress, Mark Jacquith, to pitch his idea. The first email Jon sent received no response. So Jon sent another email. Jon reached out through Twitter to let Mark know he had emailed him an idea. Mark responded and said he’d take a look. Jon didn’t expect a quick response – Mark is a busy guy. To Jon’s surprise, Mark reached out to him to set up a call almost immediately. The VelocityPage.com team was born. There are a few reasons teaming up with the best in the world is a powerful (and oftentimes – best) business solution. Pareto’s Principle – or the 80/20 rule – is a concept that says 80% of our results come from 20% of effort. Now it’s not always a direct ratio; oftentimes it can be even more extreme 1% of the work could yield 90% of the results or more. In the case of building a company from scratch, joining forces with the best in the world in any particular industry slingshots you ahead of the competition. For example, because Mark is so well known in the WordPress community, when VelocityPage.com did their first launch, the promotion of which consisted of a single tweet from Mark to his Twitter followers, they sold almost 50 licenses immediately. That’s several thousand $ from a single Tweet. No, just because someone successful or famous likes your idea doesn’t mean it will succeed. But it’s a better indicator than your mom, stylist, or bartender, isn’t it? Note: for Jon and Mark to officially validate VelocityPage.com, they had to build a working prototype and sell licenses (for money). This development process took 14 months from idea to launch – much longer than Jon would have liked, but this was a collaborative side-project for both of them (had this had been their primary focus, Jon says they could have had something ready in a few months). 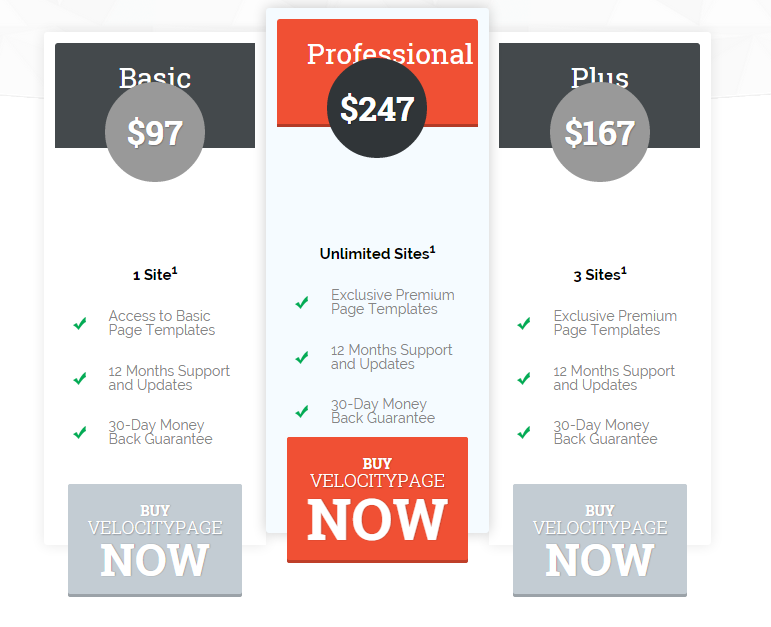 As of the time of this writing, VelocityPage.com has close to 500 customers and they are actually looking to scale. Not if you want to multiply your efforts and create a bigger impact. How can you possibly expand and grow if you’re working alone? Handling the engineering, product development, and marketing and sales simultaneously? But there will come a time when you burn out or hit a plateau you can’t scale out of (no matter what technology you have at your disposal). Virtual assistants are great if you just want to maintain what you’re doing by optimizing and systematizing your processes, but they’re a terrible solution if you want real growth (i.e. new customers, new clients, new sales – and the ability to scale). Teaming up with someone – even if he or she is not the best in the world in that particular area – is the ONLY way to build a business that can grow, scale, and ultimately: operate without you. Jon took the lead on sales. He told Mark if they can build it, he can sell it. While Jon had prior experience in sales, it’s important to realize that you don’t NEED experience in sales to start a venture if you’re willing to LEARN how to sell. And anyone in the world can learn to sell. If these two girls from Indonesia can’t prove that to you, nothing can. And if you’re not bringing money, connections or an audience to the table, you better bring hustle. There are dozens of collaborative projects that start as basic ideas and grow into massively successful ventures. There are many more, but these are just a few of the people I’ve interviewed about their collaborative ventures in the past couple months. If you’d like to hear the interviews, sign up to be notified when I launch my new book Collaborate (these interviews will be bonuses). What are you working on solo that could be improved if you teamed up with the right person? Or if you’re already working on a collaborative project, what have you learned from the experience? Awesome article Tom! I’m just beginning to understand the power of collaboration. I think there’s a prevailing myth that entrepreneurship is a solo sport, when as you’ve shown it’s really like music – grea artists coming together to make a hit bigger than they can on there own. Hip-hop is a great example of this. I had an idea for an innovative podcast and I think instead of doing it alone I’ll pitch it to an organization who have the technical quality and the ability to help in the marketing (in terms of audience). P.S The blog is looking very tight! Dubem, great idea. Would love to know how that goes and the process you use to make it happen. Keep me posted. Thanks for the kind words! I’ve been wanting to redesign my website for a while, so this is a good start. Will share more in the coming weeks. As always very informative and well written. And I’m looking for a good website host. Thanks. Thanks so much Skywalker! I’ll be sharing more about why I switched my website and who I’m using in a couple weeks – stay tuned. Thanks Kevin – really appreciate it! Jon sounds like the man!!! Great article and I look forward to hearing his interview when you launch COMMAND. Just to verify, did you say he had a prior relationship with Mark or was it just a cold email? David – believe it or not, he had no prior relationship with him. It was completely a cold email / Tweet. Goes to show the power of a good idea backed up by someone willing to take it all the way. Tom, this is a great post highlighting that relationship and connections really matter in business. They say its not what you know but who you know that matters. Thanks for writing and noted down the tip about going straight to the horses mouth ” the top guru ” to collaborate with you and help you launch you idea. On the topic of web hosting my site has been down a lot lately, though only for a short time, thats if you can call 17 mins a short time – may be not?? I am hosted with Hostgator and normally do not get any problems, so looking forward to hearing about why and who you changed over to. Yeah, 17 minutes is quite a while Jane. I used to use (and still use) webfaction, which is one of the better hosting services out there (but slightly more expensive). The new switch I’ll be writing about mid November for the why and how and sharing more details then! Thanks so much for having me on the show and for writing this great article. haha, my pleasure Jon! seriously great content!! These are great suggestions of how to start up a business. Identifying a need in the marketplace seems like it would be one of the most crucial factors. My husband has been considering starting a business, but does not know exactly what direction to start. I will have him take a look at this and hopefully he can start to get some ideas. Thanks for sharing!